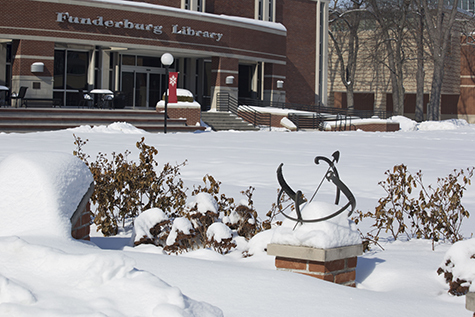 If classes are not canceled for the day at the North Manchester campus of Manchester, but you feel unsafe traveling, contact your instructor and discuss your options. Student-athletes should check with their coaches about games and practices during inclement weather. Students are expected to attend all officially scheduled classes, discussions, laboratory exercises and examinations. Failure to do so may result in a suspension and/or parental notification. Students who are absent are responsible for all missed work, regardless of the reason. Instructors may excuse students for reasonable causes. Examples of reasonable causes are sickness of student, death or serious illness in the student's immediate family, University activities (such as participation in field trips, intercollegiate sports or artistic performances), religious obligations, and circumstances beyond the student's control. Instructors may accept other causes for excused absences. All academic classes at Manchester University should include a syllabus. The syllabus should spell out a policy on absences, and each class may be different. If you are unsure of what the instructor’s policy is, please ask the faculty to clarify it. Sanctions for unexcused absences may include a failing grade on any work due on the date of an absence, a reduction of the final grade for the course, or a failure in the course. Only those sanctions published in the course syllabus are to be used by an instructor. Students with complaints of unfair sanctions should follow the procedures outlined in the academic grievance policy in the The Source. The Office of Counseling Services provides assistance in contacting students when an instructor is concerned about frequent absences that the student cannot satisfactorily explain or when the instructor has been unable to contact the student. In cases of emergencies that require absence of more than two days, the Office of Counseling Services will notify faculty. No written “excuses” are issued by the Office of Student Development or the health services director, but information received will be provided to instructors.